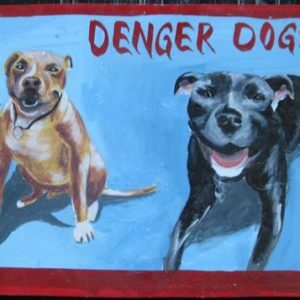 Misspelled Danger Dogs are a lot of fun. There have been some doozy’s! Gabby is a beautiful and well loved Doberman Pinscher. 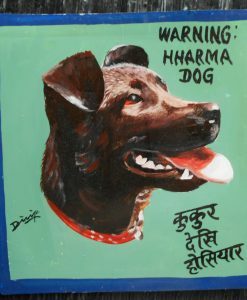 Dilip Niroj hand painted this portrait of this strong dog. 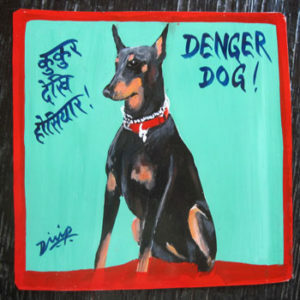 Dilip has misspelled the word Danger as Denger, so Gabby is a ‘Denger Dog’! 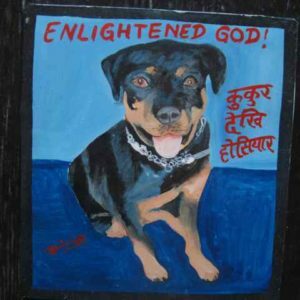 Luckily, Dilip can paint better than he can spell! Bat Boy is a handsome Newfoundland Labrador mixed breed dog. Though he looks like a Mastiff to me. 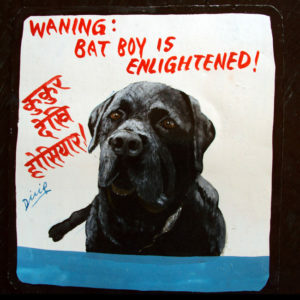 Waning: Bat Boy indeed! 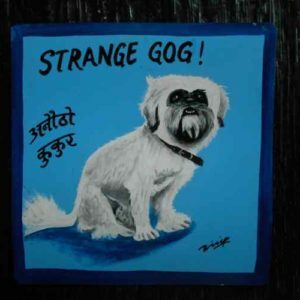 Dangr Dog! 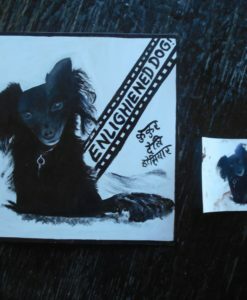 This is hand painted on metal in Nepal by Ramesh. I like the misspelling. 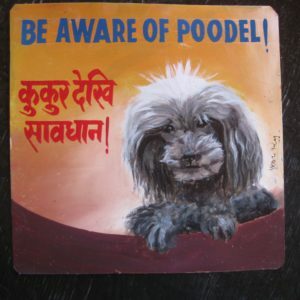 Dublin and GP are a handsome and inseparable pair of Labradoodles hand painted on metal by Megh Raj Thapa in Nepal. 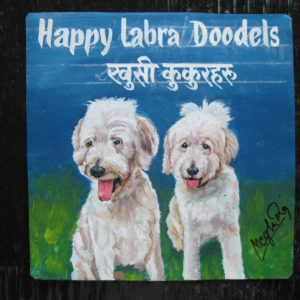 Or are they Labra Doodels? Sam and Pearl are a cute pair of ‘Denger Dogs’. 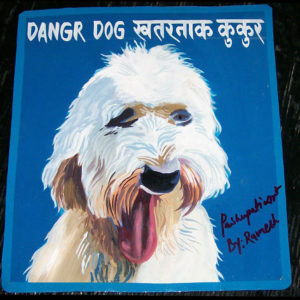 Dilip has some trouble with misspelling Danger, but you should see my handwriting in Nepali !! This pair would keep burglars away!